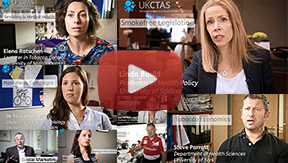 The UKCTAS is proud to be a member of the the Alcohol Health Alliance (AHA) UK. AHA UK brings together organisations whose mission is to reduce the damage caused to health by alcohol misuse. Members include medical bodies, charities and alcohol health campaigners. Highlight the rising levels of alcohol-related health harm. Propose evidence-based solutions to reduce this harm. Influence decision makers to take positive action to address the damage caused by alcohol misuse. AHA UK was launched on 13 November 2007 in conjuction with the publication of a BBC Survey on health services in the UK. It is chaired by Professor Sir Ian Gilmore, the RCP's special advisor on alcohol and a co-investigator for the UK Centre for Tobacco and Alcohol Studies. Today the Alcohol Health Alliance UK (AHA) wrote to Richard Scudamore, Chief Executive of the Premier League, calling on him to protect the health and wellbeing of young people around the world by sourcing sponsorship outside of the alcohol industry. The letter comes after it was reported that Diageo, the makers of leading drinks brands Guinness, Smirnoff vodka and Bailey’s, are considering making a bid for the title sponsorship of the Premier League.